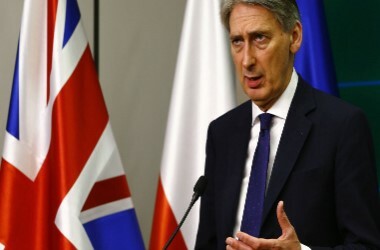 The United Kingdom’s Chancellor of the Exchequer, Philip Hammond may have been dealing with the budget announcement in recent days, but he also took some time to address issues with the delayed crackdown on fixed odds betting terminals (FOBTs). While Chancellor Hammond did state that he intended for the rule on maximum bets to come into effect in April of 2019, he has now confessed that strong lobbying from the casino industry led to a further pushback. It was thought that the increase in gaming duty, as announced during the UK budget, would come into effect at the same time, to counteract the reduction in maximum wagers. However, this has also now been pushed back to later on in the year. Gambling operators rallied together and claimed that such swift and drastic alterations could severely impact their businesses. Figures were thrown around claiming that about 21,000 jobs could be lost from the FOBT crackdown, leading Hammond to provide an additional six-month delay. It was a risky decision by the Chancellor, who had already experienced criticism over the crackdown. Many anti-gambling advocates put forth claims that Hammond has been placing the interests of the gambling industry ahead of the people who suffer from serious betting addictions. This defence has been his first statement on the issue since the former Minister of Sports and Civil Society, Tracey Crouch chose to resign from her role last week. Ms. Crouch took the decision to resign from her post after the decision was made by the Government to accept the delay of the crackdown on FOBTs. Prior to this, she had stood strong as one of the key opponents to the machines, often citing the impact that they can have on people’s lives and them being a huge problem when it comes to addiction. However, the Chancellor spoke of his own dislike of the terminals, branding them “terrible things”. Yet, he said that his choice in the matter had to be a sensible one, allowing for the gambling industry to continue without suffering too much of an impact. He further went on to say that the reduction in the maximum stakes on these machines would lead to them disappearing altogether someday. The likelihood, he stated, is that they would no longer be profitable enough and basically end up eliminating themselves. So, rather than make the FOBT cut instantly, Mr Hammond said that he wanted to give the industry the time to adapt with a “sensible” time period. In the process, any expected job losses should be dealt with appropriately. He was, however, keen to point out that the timing of these changes wasn’t done in any way as to benefit the Treasury’s own desire to keep the gambling tax income flowing. Instead, he said, the increase in gaming tax will take place at the same time as the decrease in maximum stakes on betting terminals.